In a large mixing bowl, combine eggs, pumpkin, honey, coconut oil, and vanilla. In a medium mixing bowl, combine coconut flakes, almond flour, baking soda, salt, cinnamon, nutmeg, cloves, and ginger. Add dry ingredients to the wet ingredients, using a spatula to fold together. When thoroughly combined, fold in chopped walnuts. Line muffin tin with parchment paper wrappers. Fill cups 2/3 full with the batter. Bake for 25-30 minutes. Muffins will be decadently moist. I originally wrote this recipe for the Christian Science Monitor. Check it out here! YUM! 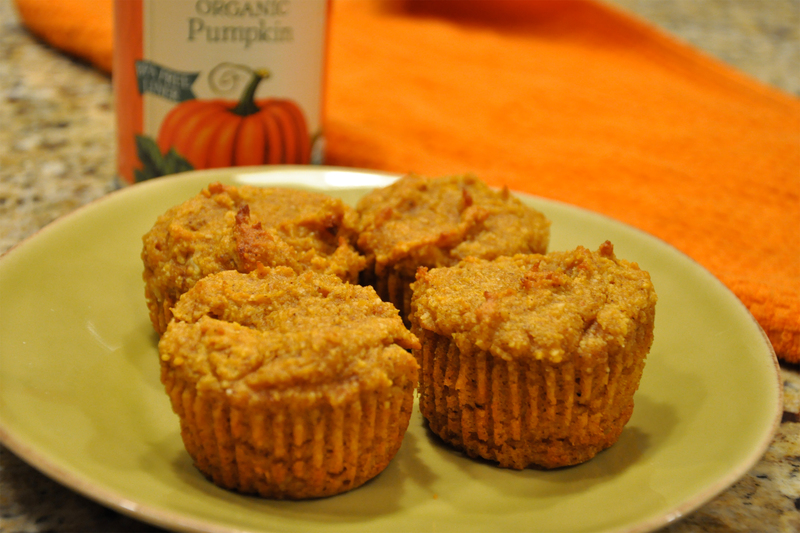 Ill have to try these along with my zucchini muffins!